When did I become such a crybaby? The other night we were sitting outside and my daughter was playing music on her iHome which is basically a dock for her iPod with an outside speaker. I wasn’t really paying attention to the songs, but at one point heard pieces of a song that was mostly acoustic guitar and a nice female voice and that always tends to catch my ear. A while later I asked her what the song was and she skipped back a few and we eventually tracked it down. The song was “The House That Built Me” by Miranda Lambert. My daughter played it again and I liked it because of the guitar fingerpicking, but I didn’t really listen to the words at first. I asked her to play it again and this time listened a little closer. It’s basically about someone that goes back to the house they grew up in as a kid. You can listen to it if you want. Maybe you’ve heard it already. The song made me tear up. Yeah, seriously, it did! Then my daughter was trying to talk to me and I had to hide my face in my blackberry. Of course I’d had like eight drinks so my “drunken sorority girl that’s like just been dumped by a totally hot guy she met a week ago” emotional buttons had been pushed. You’re surprised? Go listen to the song and see if it doesn’t make cry you heartless sociopath! Anyway, I used to be a pretty stoic guy. I could sit and watch a sad movie and be completely untouched. My wife on the other hand would cry at everything, movies, news stories, hallmark commercials, whatever… it never took much. Maybe that’s why we get along so well. There’s nothing wrong with being emotional, I think its okay. In fact, it’s probably healthy! But, not me, I’d sit there and watch them haul “Old Yeller” into the back field and shoot him and not shed a tear. I’m not sure when things changed. I suspect it has something to do with having and raising kids and the emotional responsibilities that comes with that. But I don’t know, I guess it’s been some kind of a growth process, something that comes with aging and seeing loved ones pass and knowing that my kids are growing up and won’t be living with us much longer. Dude, no worries…..I cried at Toy Story 3 too. Commercials? Yep……”Chick Flicks? Oh yeah….more than my wife lol…I’m a puss. Thanks for the support Bass. It takes a real man to admit he’s a puss! You and my wife would get along well! 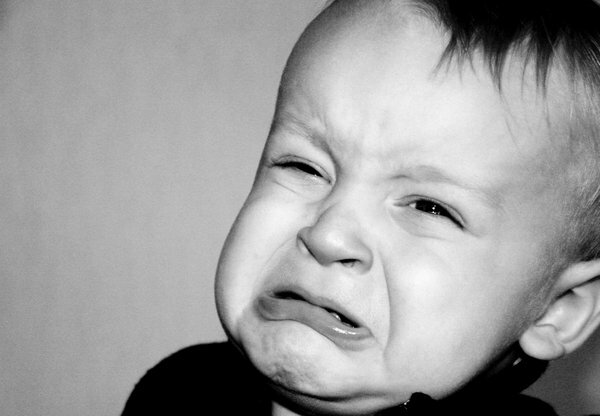 Oh dear…my stepdaughter cried at “Toy Story 3”, but none of the rest of us did! Wendy, you’re tougher than me!! I’m not familiar with Bridesmaids, doesn’t sound like my kind of flick by you never know. You are absolutely right about daughters. Son’s do it too sometimes, but daughters… ALL of the time. She’ll also probably make me sing that song I wrote. YIKES! Just so you know, I think more of you now! Seriously. I think the fact about raising kids is dead on. . . I’ve had lots of things to cry about over the last dozen years, but it wasn’t until the last couple years since my kids were born that I really started letting it loose. I just bought the new Gillian Welch album, and have listened to two songs–Hard Times and Sliver Dagger–and for some reason they reminded me of my dad and I started to cry, and my kids are in the back of the car, saying, “What you doing, Daddy?” which of course made me cry more. We’re just more dynamic, that’s all! To be able to be insensitive jackasses in one (or ten) posts and then admit we’re human in the next. That’s it… more dynamic!! It definitely has a lot to do with kids. Thanks for chiming in! Tears are a sign of emotional maturity. That’s my story and I’m sticking to it! I however, do still see the Marlboro Man!! I get all weepy when I’m watching a movie hungover … other than that only “It’s a Wonderful Life” will make me tear up everytime. note: I watched the movie “Cloverfield” hungover, but it only made me queasy. I heard “The House That Built Me” for the first time on one of those singing competition shows, and I hadn’t been paying attention, but when Miranda Lambert started singing it, I felt like I was under a spell. I think it just resonates with us all – everyone can relate to the place where they grew up, the place that really and truly influenced who they are today. Now I’m a pansy – I’m tearing up just thinking about it!